Chad Ryan peered down 15 feet into a brush-filled cave at a bear cornered by dogs. Ryan squeezed the trigger. It turned out the bear weighed 42 pounds. The killing would later become part of a federal criminal case—although Ryan was not the one who was charged. That’s because Chad Ryan was actually an undercover pseudonym for Chad Arnold, sergeant investigator with the North Carolina Wildlife Resources Commission. The guide who was charged with the federal crime, even though it was not he who actually shot the bear, was found not guilty by a jury. He also was acquitted on a charge from the same investigation for bear baiting because he was not actually present when the crime was committed. The case was part of a much larger, multi-agency, four-year law enforcement investigation known as Operation Something Bruin. When it was first announced to the public in February 2013, officials trumpeted it as a huge success in dealing a blow to bear poaching—comparable in impact to Operation Smoky, a legendarily successful 1980s investigation that targeted the sale of bear gall bladders to the black market—but with a broad scope and 81 arrests. In the months and years that followed that initial announcement, Operation Something Bruin descended into a quagmire of controversy, culminating in a hearing by the House Congressional Oversight Committee last June. Operation Something Bruin began with the U.S. Forest Service memo that bears were being poached, and it soon grew to encompass the U.S. Fish and Wildlife Service, Georgia Department of Natural Resources and North Carolina Wildlife Resources Commission. Unlike Operation Smoky, which focused on the buyers of gall bladders, Operation Something Bruin began with hunters and outfitters. David Webb, a Georgia Department of Natural Resources officer, began undercover work, making contact with some of the hunters and outfitters who were later charged. Arnold joined operations later. The undercover officers approached outfitters and purchased guided hunting trips, then played the part of rogue hunters who wanted to kill bears, no matter what laws were broken. That included illegal baiting using crushed M&Ms and chocolate waste, shooting of undersized bears, and failure to apply tags to kills to sidestep take restrictions. The means of gathering evidence against the defendants, as well as the manner in which they were arrested—one western North Carolina hunter was arrested by an armed team while he watched television with his 9-year-old daughter—provoked a public relations backlash. Then, only 55 of the 81 individuals arrested actually were charged in court. Most of the cases were dismissed by a judge or found not guilty by a jury, including the man arrested in front of his daughter. Not only did the actions of the undercover agents fall outside the bounds of acceptable law enforcement practices, he says, but agents damaged some of the defendants’ gear that was seized as evidence. The Crisp family of Graham County, North Carolina, was hit hardest, as a father and son both were sentenced to prison time for federal game violations. Chad Crisp, the son, received a 20-month sentence after he pleaded guilty to seven charges, including hunting deer with artificial light, hunting without a license and hunting illegally at night. The father, David Crisp, was convicted of one hunting violation and served 90 days in jail. For his part, Arnold stands behind Operation Something Bruin. If Operation Something Bruin proved anything, it’s that the hunting culture surrounding bears remains vibrant in the Blue Ridge Mountains. In many ways the culture is based not so much on the pursuit of bear, but the relationship between a hunter and his or her dogs. Countless hours and dollars are spent on breeding and training dogs each year for only a handful of actual hunting experiences. 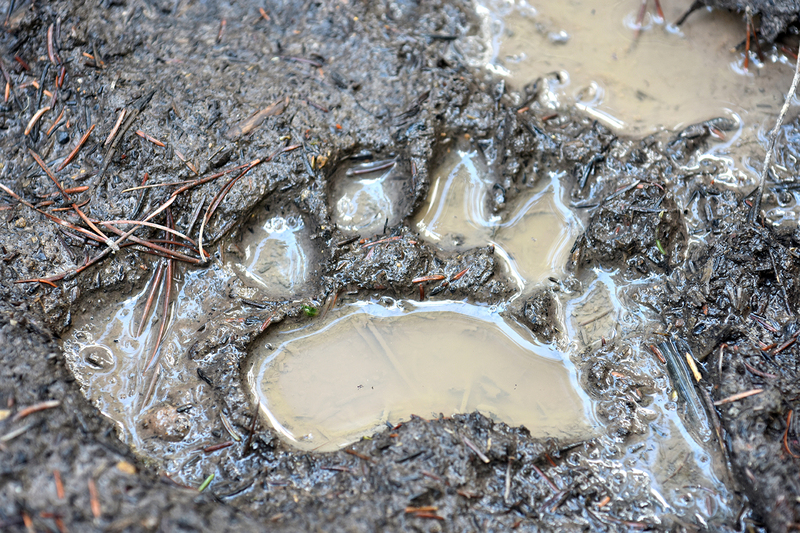 As bear populations have grown, state laws and regulations on bear hunting have evolved. Tony Wilt, who represents a Shenandoah Valley district in the Virginia House of Delegates, began his political career as president of the Virginia Bear Hunters Association, meeting and lobbying state lawmakers when relevant legislation came up. Today, bear hunting is tightly regulated. Wilt says the big shift came about 30 years ago, when the law shifted to reflect the desire by hunters to participate in the activity of bear hunting more than the desire to kill a bear. Inspired by the existence of a bear hound training season in Wisconsin, the VBHA pushed for Virginia to adopt one as well. “The training season allows hound hunters to go out and run them, tree the bear, catch your dogs and pull them back up, let the bear down,” Wilt says. “Then you either let him go or give them 10 or 15 minute head start and let the dogs go again. It was a win-win for everybody”—even the bears, who were hounded more often but with fewer lethal endings. Bear policy continues to evolve. States have differing standards on bear baiting: North Carolina allows it, but only using natural foods, while Virginia bans the feeding of bear altogether. At least one author, Richard Smith, who has published multiple books on hunting deer, bear and other species, has argued for the legalization of bear gall bladder sales. Because of Operation Smoky and similar law enforcement crackdowns, the harvesting of bear bladders—considered highly valuable for their use in treating heart attacks and high blood pressure in Chinese medicine—is considered taboo among most bear hunters; even mentioning it is bad form. But in his 1999 book Understanding Michigan Black Bear: The Truth About Bears and Bear Hunting, Smith included a chapter titled “Trade In Bear Parts Should Be Legal,” in which he argued just that. For now, at least, Smith’s view remains an outlier. Most bear experts and officials fear that legalizing the sale of bear parts would cause even more bear poaching.